Welcome to our new and improved website ! My name is Hulan Pierre. Let the authentic sound of the steel drum transform your event. I perform music for all occasions including Weddings, Corporate Events and parties. Give us a call today ! 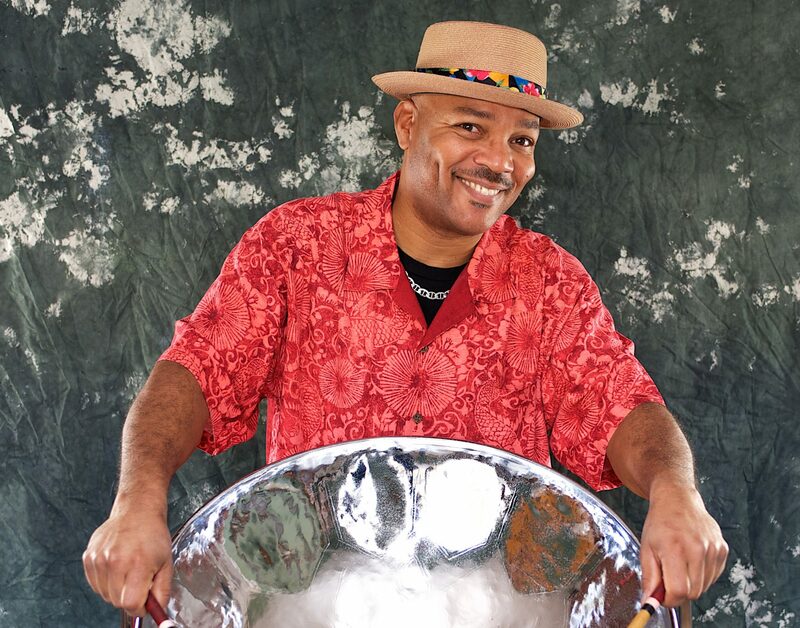 Hugh was born in the Island of Trinidad & Tobago, the land of the steeldrum. He migrated to Canada and pursued his music education by studying at the Royal Conservatory of Music, and later graduated from the Humber College Music Program. His repertoire not only include the traditional Harry Belfonte Calypsos and Bob Marley raggae songs, but also many Latin, R&B, Gospel and Jazz standards. He has performed extensively throughout Canada and the United States. His lively singing combined with Keyboards and steeldrum, with audience interactions, creates a memorable event. Some venues include the Canadian National Exhibition, The Nottawasaga Resort Inn, Harbourfront and Port Credit Yacht Clubs, Deerhurst and Talisman Resort, Fern Resort, Muskoka Woods Summer Camp, Malibu Rum, and the Boulevard Club. Some recent jobs include Horseshoe Valley Resort, Cranberry Inn Resort, The City of Peterborough Tourism, Sunnybrook Hospital, Cobourg Water Festival and Georgian College. Hugh has performed alongside artists including Robert Michaels, The Ink Spots, Arrow, Dennis Desousa and Jesse Cook. I just wanted to follow up with you on behalf of the Peterborough and Kawarthas Tourism. Thank you for such a great show at our Summer Kick Off Event last week. We had a great time and everyone really enjoyed you and the band. Thank you for entertaining us so well during the Luncheon at the Nottawasaga Inn Resort. We enjoyed your playing, your happy smile, and your choice of music very much. We really enjoyed you coming and playing for us, to help us forget the long winter months. Just wondering if you would be interested in returning. You did a great job at our wedding reception. Everyone loved you and your music. Hubert was absolutely delighted with you and the band so much, that he can’t stop talking about you. You fellows really provided a wonderful finale to a most fabulous celebration of Hubert’s 80th. I hope we have another cause to bring you for a return visit. Many, many thanks, and all the best. Hope you made it to the other gig on time, everyone had a great time. I had some guest stay the night and they all spoke about how much they enjoyed you. Thank you for making it a special day for Peter. Thank you very much for your performances on Raggae nights during the summer. We were very pleased with the band and your professionalism. I just wanted to send you a note to thank you so very much for providing wonderful steeldrum music at our Chamber of Commerce Gala. The event was a wonderful success, and your music during the cocktail hour was thoroughly enjoyed by all who attended.